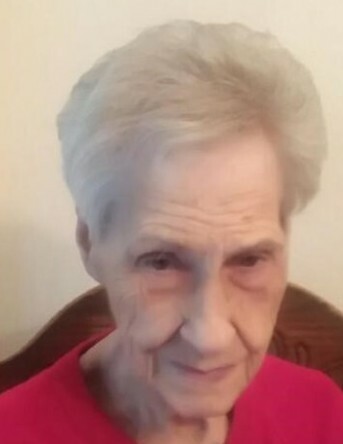 Obituary for Elizabeth (Vekich) Trocki | Charles B. Jarvie Funeral Home, Inc.
Elizabeth (Vekich) Trocki, 94, of Indianola, passed away Friday, Feb. 8, 2019. She was born Dec. 17, 1924, to the late Joseph and Elizabeth Frenzy Vekich, and has been a lifelong resident of the community. Mrs. Trocki graduated from Oakmont High School in 1941 and was of the Presbyterian faith. After graduation, she worked as a riveter towards the war effort during World War II. Elizabeth enjoyed playing bingo with her friends and especially heading to the beach with her family. Her family will miss her greatly. Survivors include sons, Michael (Monika) Trocki, of Fort Meyers, Fla., and Timothy Trocki, of Indianola; daughter, Sharon (Ron) Prasnikar, of Dallas, Texas; as well as loving grandchildren and great-grandchildren. In addition to her parents, she was preceded in death by a brother, George; and a sister, Helen. Services and interment will be private. Arrangements entrusted to THE CHARLES B. JARVIE FUNERAL HOMES INC., 801/1607 Pittsburgh St., Springdale/Cheswick. www.jarviefuneralhome.com.